If you’ve always dreamed of running your own business but you’re not sure where to start, then becoming one of our Ridiculously Rich ambassadors might be your perfect career! At Ridiculously Rich we’re building an army of cake-loving ambassadors to join us on our cakepreneurial journey. 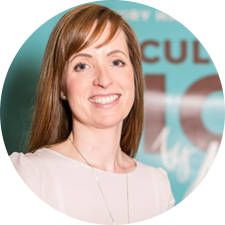 Since 2010 our head cake-maker Alana has successfully sold her luxury tray-baked treats at markets and food shows across the country. Realising that it was an incredibly good income stream (and with her profits expanding like self raising flour!) 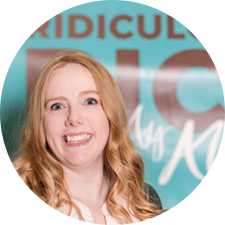 Alana launched the Ridiculously Rich ambassador scheme in 2017 to find other like-minded people and fulfil our dream to cover the United Kingdom with our cake. We’re looking for people who are full of energy, naturally passionate about food, enjoy selling directly to the public and who love the idea of being their own boss. Our ambassadors will have the scope to be creative, the freedom to grow their own sales channels and the chance to make the most of our well-known Ridiculously Rich branding. 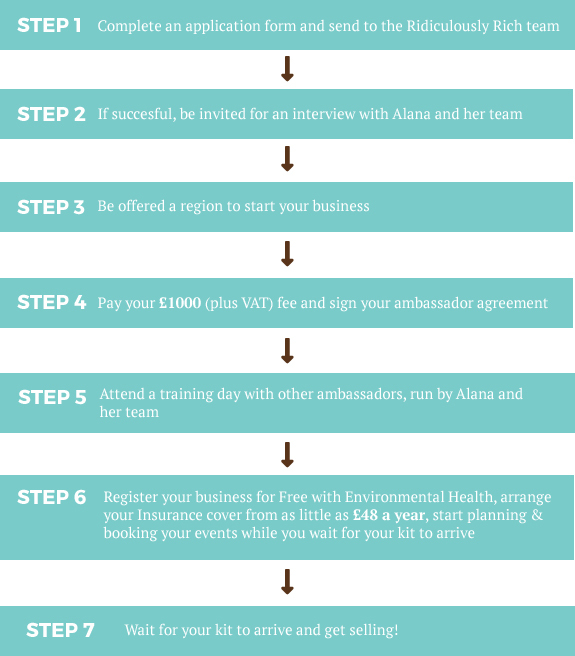 As an ambassador you’ll be given everything you need to start building your business. You will get your own region, a complete ambassador pack including everything handy to set up your stall and we’ll even provide a list of recommended events in your area to get you started. Most importantly, our delicious cakes are freshly hand crafted in Wales and swiftly delivered to your door whenever you need them (remember not to eat all of your own stock!). Food Festivals, Family Fun Day’s, Carnivals, Agricultural Shows, Street Food Festivals… Just the tip of the iceberg of the events you can attend and sell stacks of delicious cake! Signing up Independent Retailers: (Coffee Shops, Delicatessens, Farm Shops, Universities… the list is endless!) to sell our new Grab & Go Bars or trays of our cakes and earn yourself regular commission every time they order! Weddings and Parties: A bespoke tower of brownies for a wedding cake, or a selection table for a party, help make someone’s special day even sweeter! Corporate Catering: Offices love cake! Think corporate gifts, meeting platters or even a pop up stall for a Friday (or any day) treat! Gifts or Online Orders: Give your friends and family your unique 5% discount code and earn commission every time they purchase cake online. Subscriptions: Alana develops 2 brand new recipes every month only available online by signing up to our fortnightly or monthly subscriptions. Sign up 1 person for a fortnightly subscription using your 5% off code and you will get £77 commission in a year for doing nothing but tempting your friends. Refer a Friend: Do you know someone that would also make the perfect Cakepreneur? Refer them and you will both receive a £35 credit to spend on the website if they sign up! 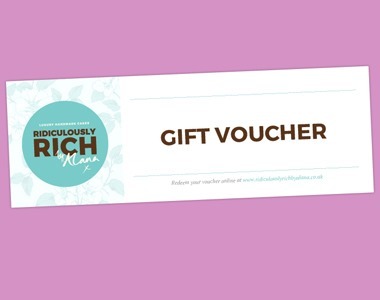 You’ll be part of the Ridiculously Rich family and you’ll always have the support of the our team (including Alana!) to share ideas, answer questions and give you training on sales techniques or our tasty new products. We also hold VIP foodie events throughout the year for the whole ambassador team to get together, share our stories and celebrate our love of cake! Sound like the dream? Then apply below and you will be selling our delicious cakes before you know it. With a dedicated ambassador login page on our website to keep track of your customers, easily order stock and plan your events calendar - you can earn real money based on your dedication and commitment to cake. "Being an ambassador has enabled me to effectively work for myself, for the first time I can be there to pick my kids up from school and what I earned from my events meant I could take my family on holiday to Dubai this year. We are part of one big family supporting each other to achieve united success!" "Being the Cheshire Ambassador for Ridiculously Rich by Alana makes me so proud, it has allowed me to follow my dream of running my own business but with help and support from Alana, her team and fellow Ambassadors. Not only do I get to do something I love each day but financially it has allowed me to generate an income for myself whilst also reinvesting in my business to ensure I can attend some of the biggest events in Cheshire."